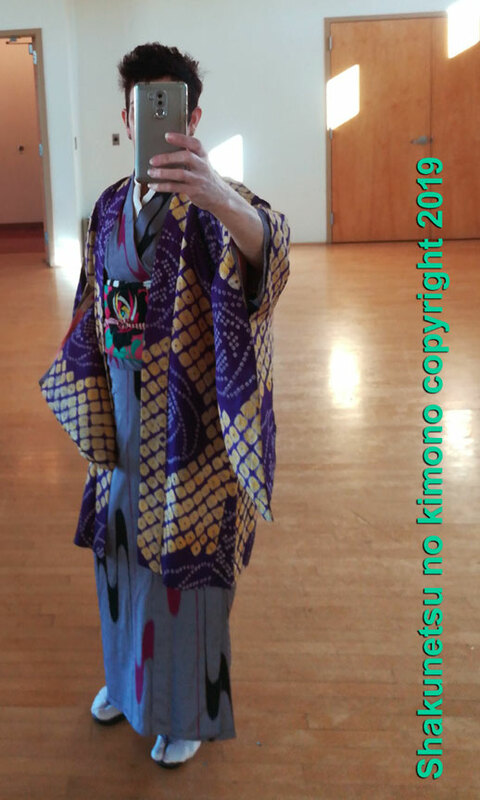 I've been busy- lots of taiko gigs scheduled for the next few months as well our own Japanese festival that we just celebrated on January 19th. 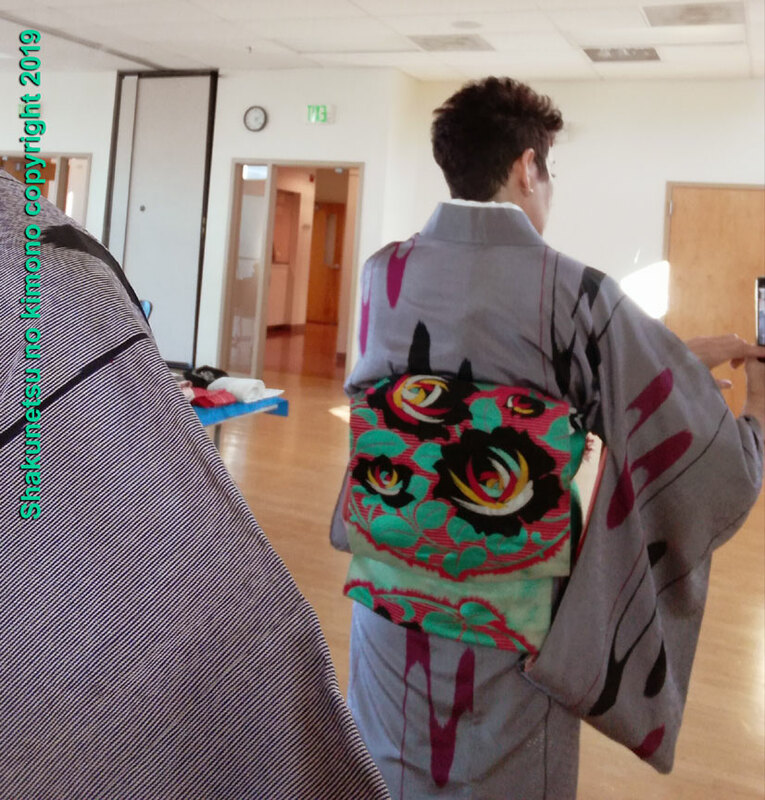 I was able to do a kimono dressing demo (And played taiko later!) 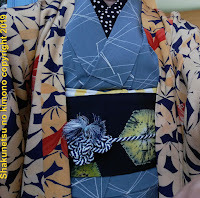 at the festival as part of one of the demonstrations of different art forms and crafts. 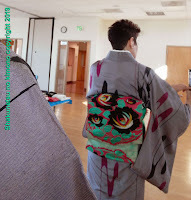 I dressed a friend for a tea ceremony that was following my demo, so it worked out perfect. 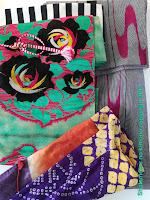 The demo was a great success, with standing room only! 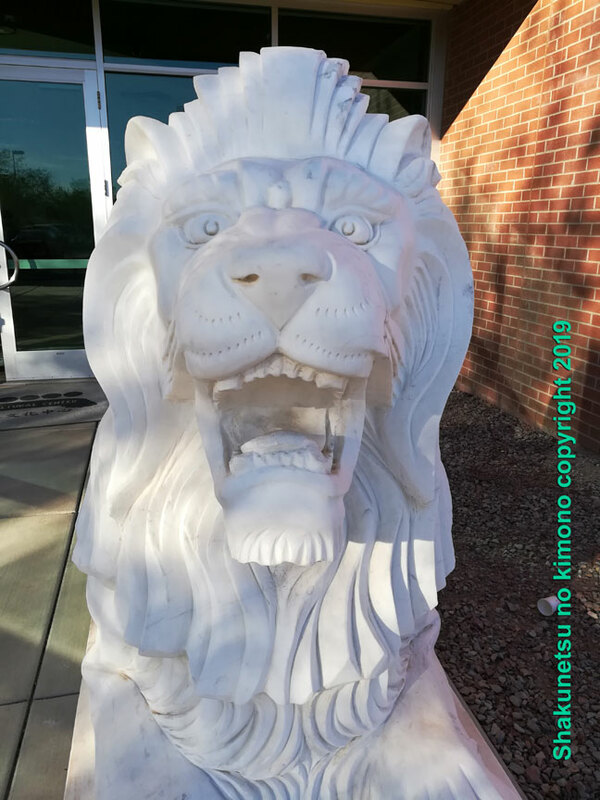 The festival was at the local Chinese Cultural Center, a wonderful location and it had two beautiful white marble lions at the entrance. 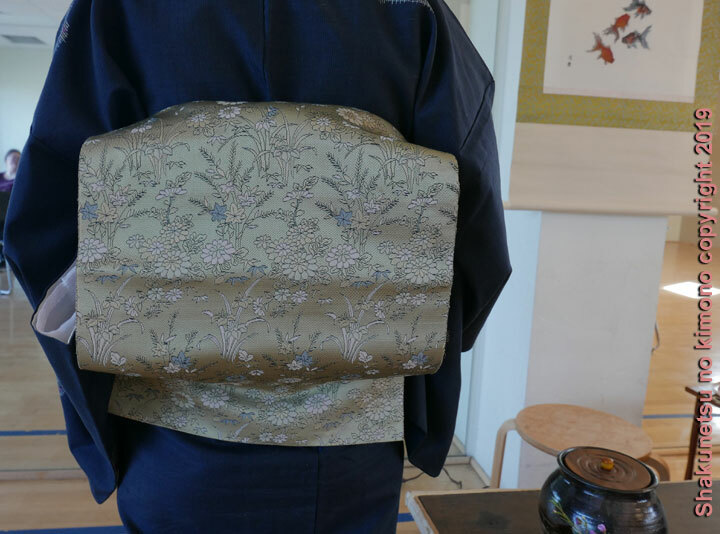 Marnie had her own lovely navy komon kimono and I provided the tea-green obi and coordinating accessories for a harmonious ensemble appropriate for tea. 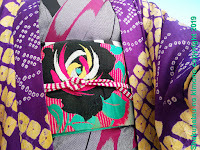 I wore my retro-modern pale grey kimono with a very vintage emerald green Nagoya obi featuring a rose and a new striped obiage from Kimonotte. 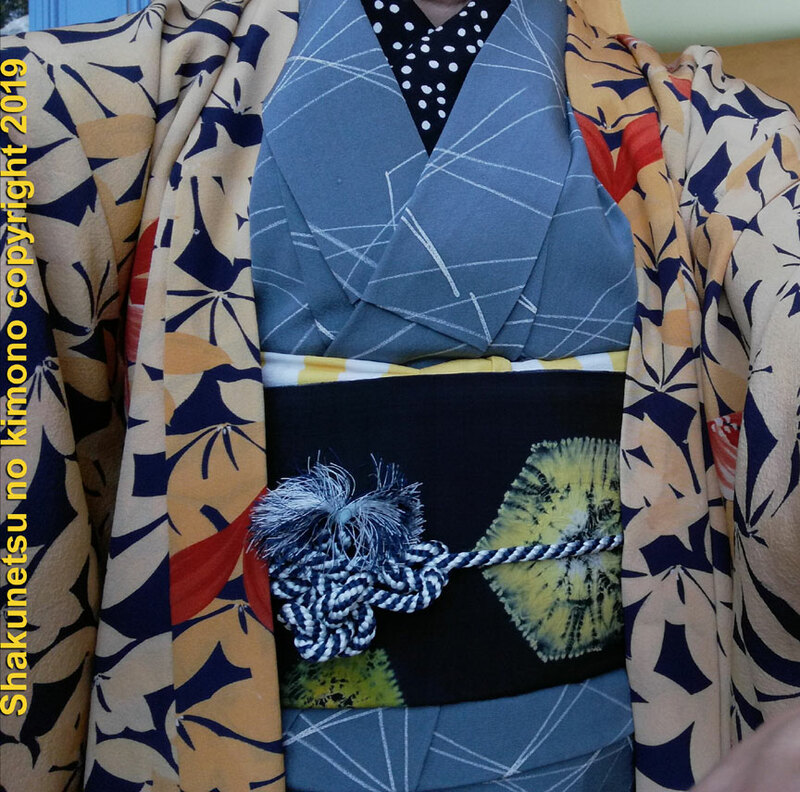 It was very chilly in the morning when I arrived at the festival location, so I wore the yellow and purple shibori haori. 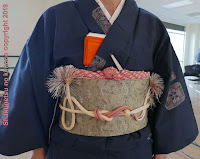 This was the first time I had worn the green obi and I used one of my favorite tools to "tie" it: the obidomekanagu or obi clip. 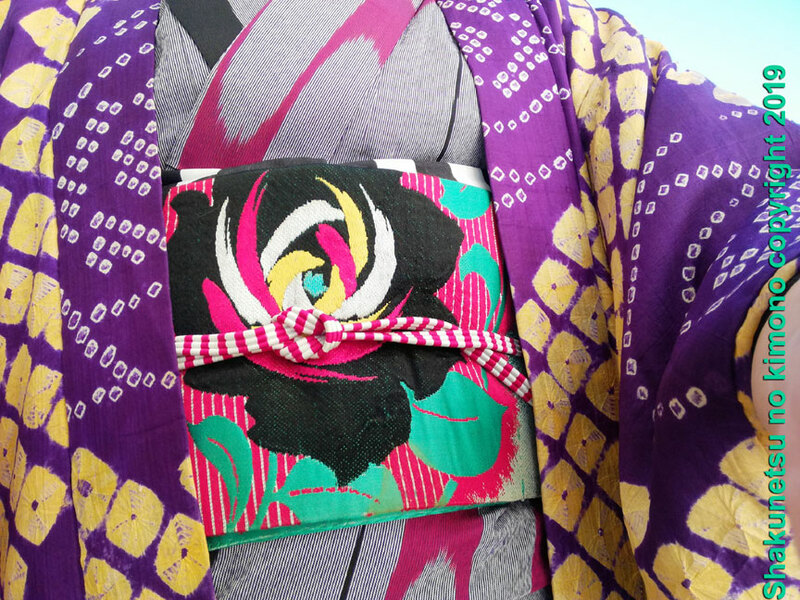 It's perfect for fragile obi as the fabric is not tied or twisted. It truly is an amazing tool for neat kitsuke and makes the obi easier to tie in my opinion. A week later, we had a volunteer appreciation party for everyone that participated in the festival. 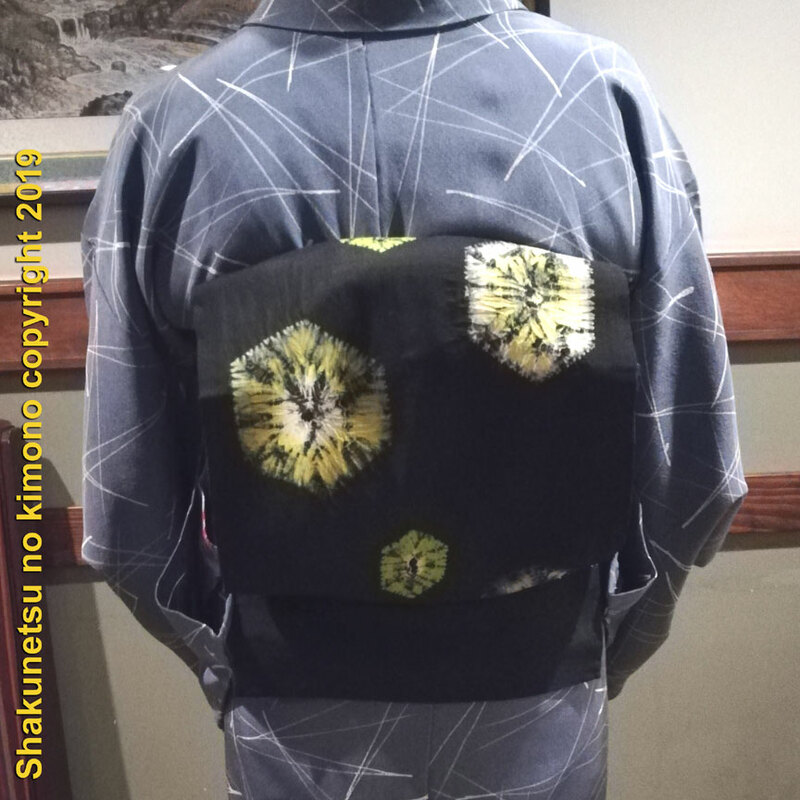 I wore the pine needle komon with another "new" obi- a vintage chuya obi with a yellow and lime-green shibori kikko pattern on one side. I added another fabulous Kimonotte striped obiage and a leaf-patterned yellow and navy haori. 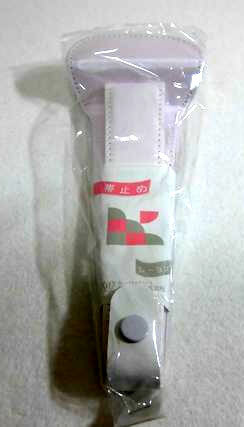 This event was in the evening, so most of the photos were really dark. 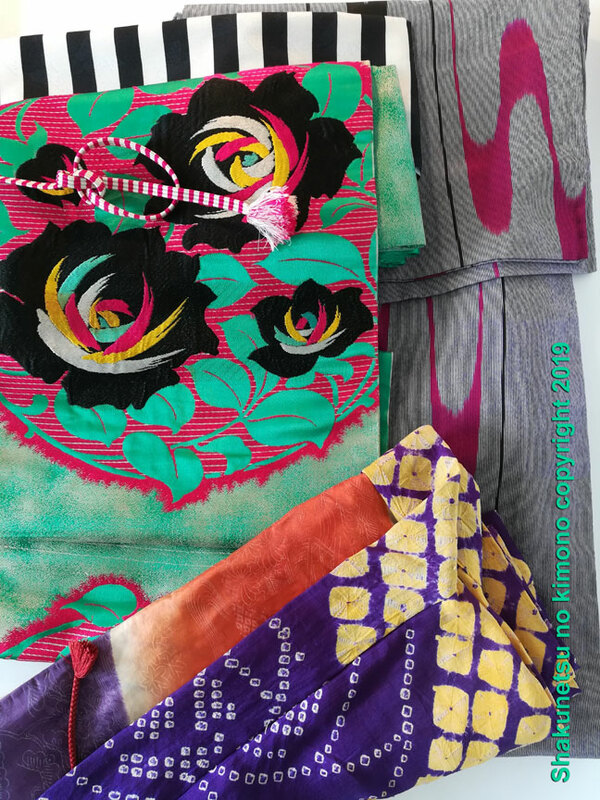 These are the best of the bunch! 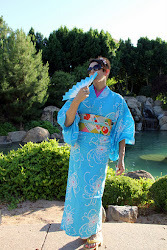 See you next time- Phoenix Matsuri is in a few weeks!